It was a great day to be out at sea, with lots of interesting sights and picture perfect weather. Our trip started off with some sightings of our Copper Sharks, which we found over at Slashfin. 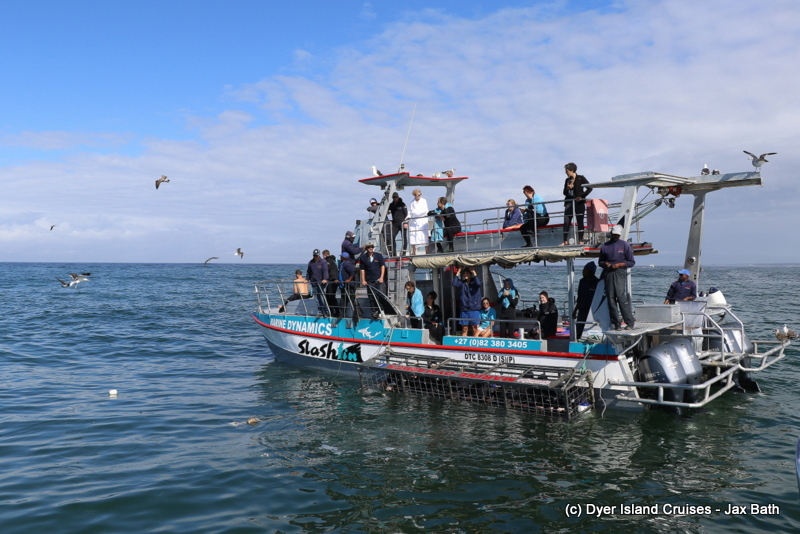 We got to see the sharks surface a few times before we made our way closer to the beach, in the hopes of catching up with South Africa’s rarest coastal cetacean. 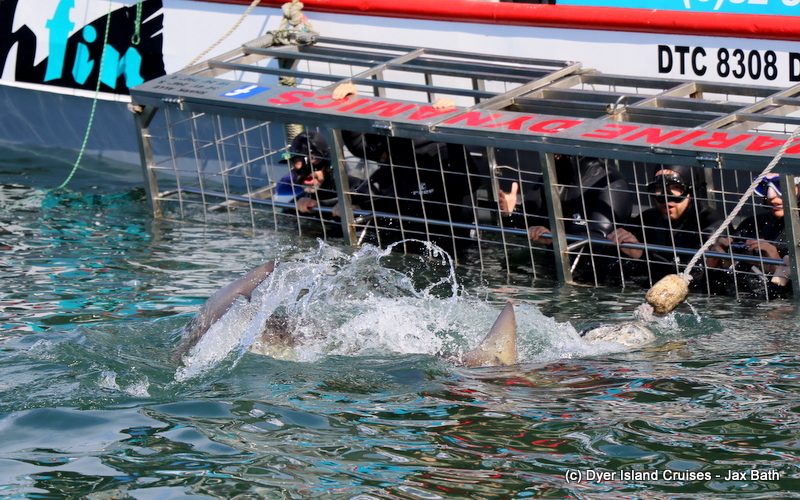 We were in lucky, getting a few views of Oupa, one of our most iconic animals. 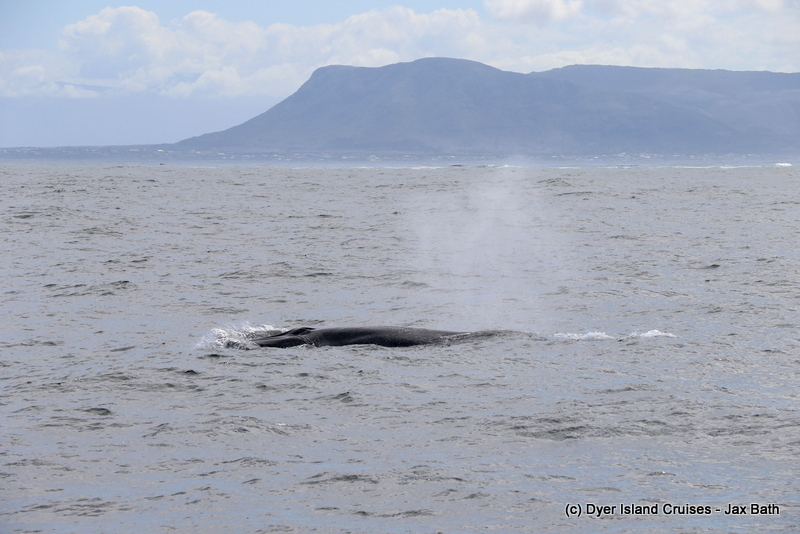 Oupa is an Indian Ocean Humpback Dolphin, who has been frequenting our bay for years now. 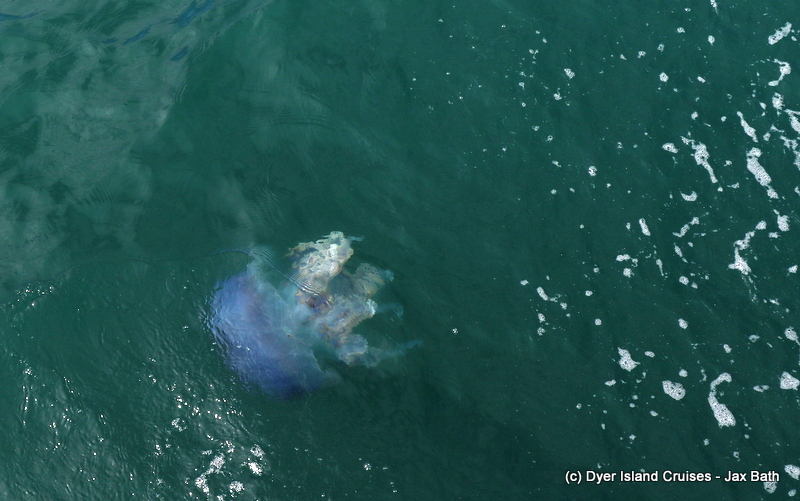 After everyone except me got to see the Humpback Dolphin, we made our way onwards towards our island systems, spotting some Cape gannets and a stunning Blue Blubber Jellyfish along the way. 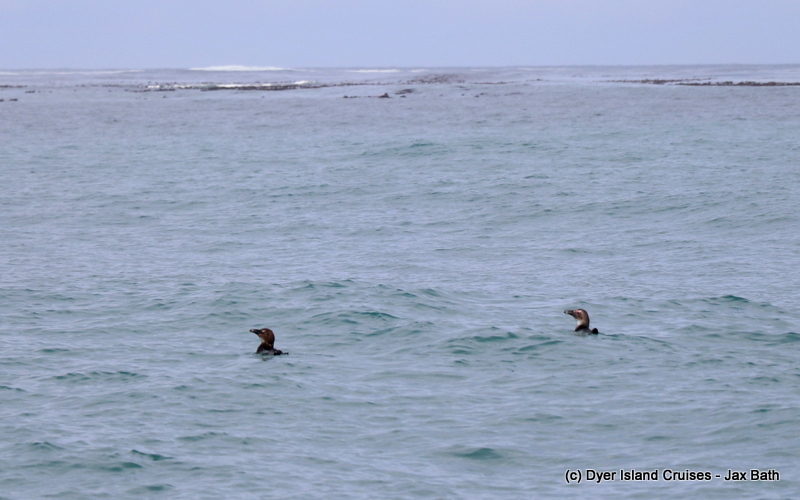 we also got to spot some African Penguins out at sea before taking a quick stop at Dyer Island. 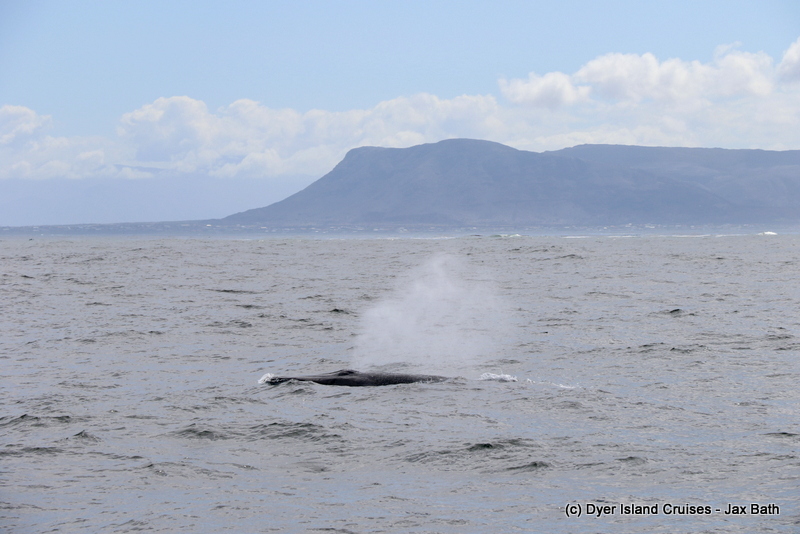 As we were moving on towards our seal colony, Kira spotted a blow behind Geyser Rock, which allowed for us to have a stunning sighting of a Brydes Whale. This whale was slowly moving along, and we all managed to see this gentle giant beautifully as it surfaced. 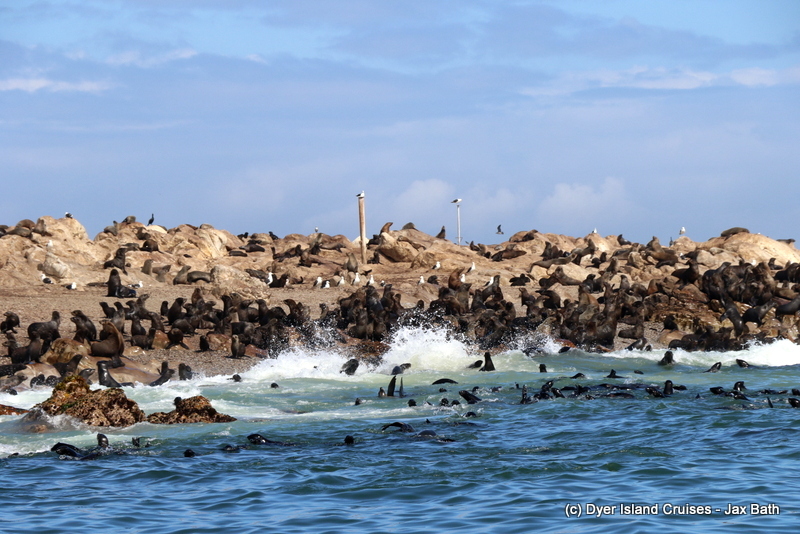 Our final stop for the day was over at Geyser Rock where our Cape Fur Seals were waiting to strut their stuff. 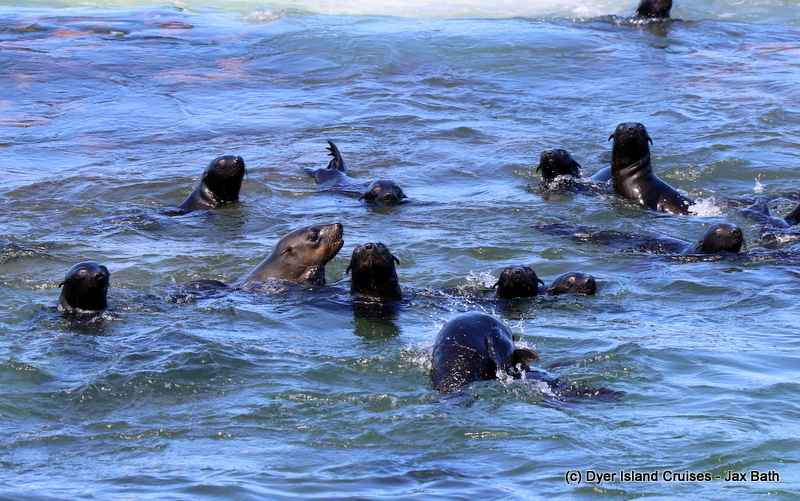 The seals were as playful and adorable as ever and after stopping here, we made our way back to the harbour. All in all, a very successful Marine Big 5 tour. 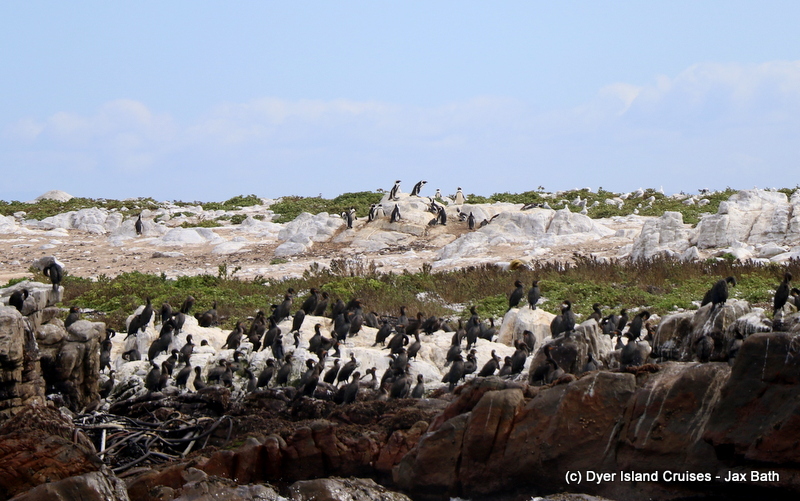 Some African Penguins enjoying their home on Dyer Island. Just as the whale surfaces. Brydes Whales have a very sleek frame, and weight only around 20 tons. 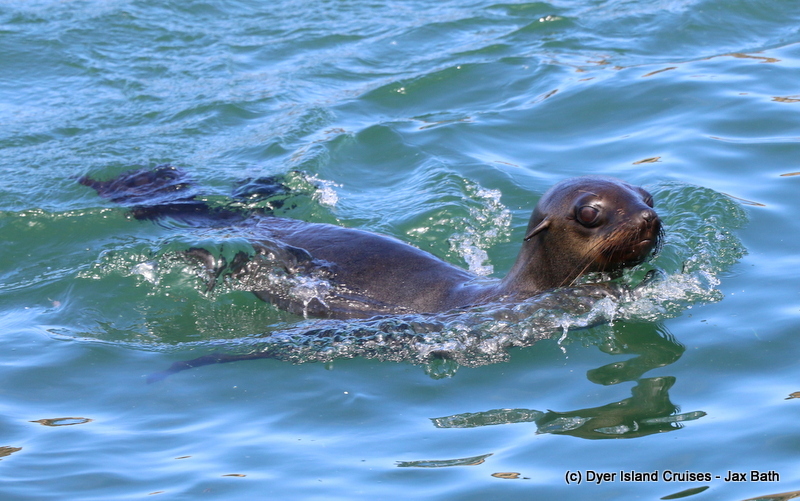 A curious little seal checks out our vessel. The pups trying to figure out who and what we are. 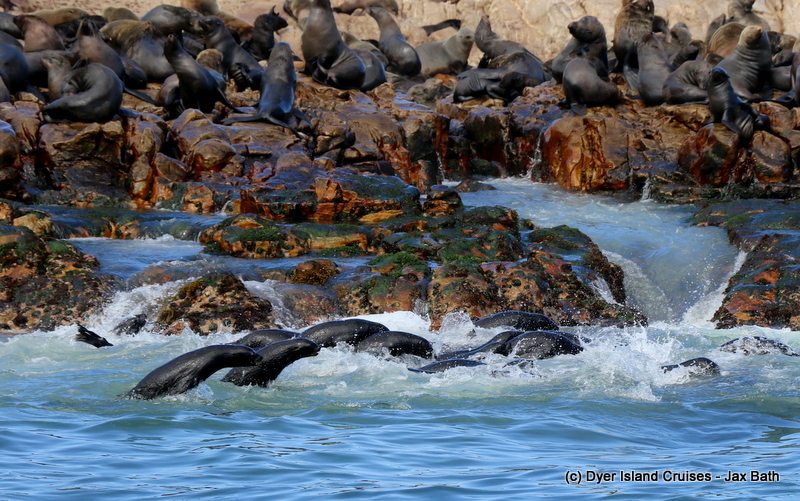 All the seals taking to the water. Slashfin on a gorgeous day. 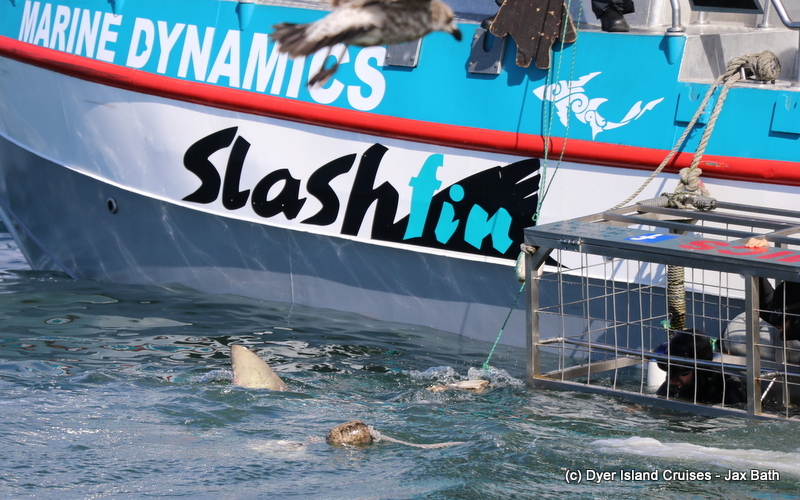 Check out the movement in the tail, sharks will use their tails to propel them forward. 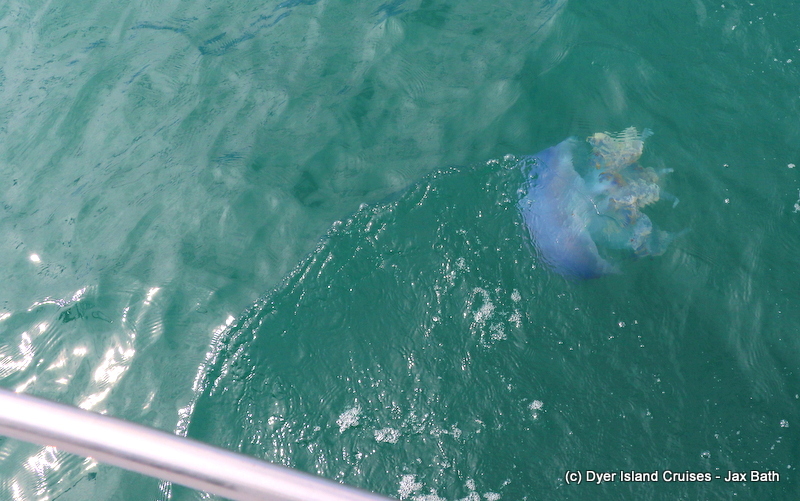 We don’t often get to see these jellyfish on our tours, so this was a real treat. 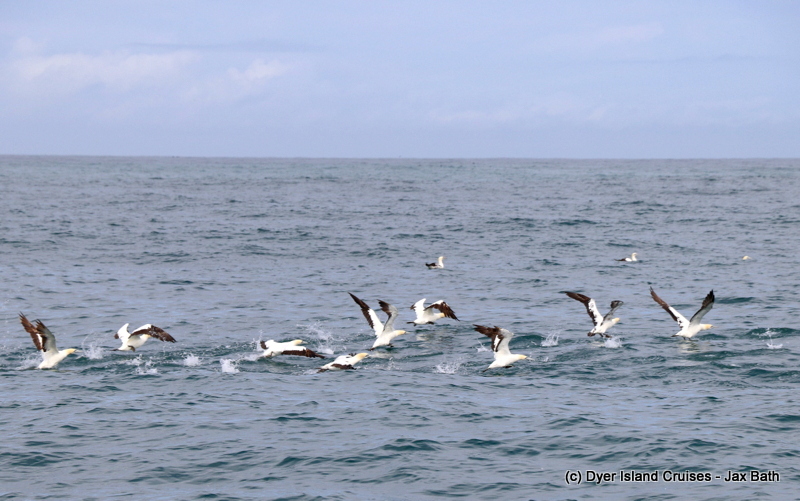 Cape Gannets about to take flight. Mysterious and often solitary, Bryde's whales frequent the Dyer Island area throughout the year, with most sightings occuring during the summer months. Often confused with the bottlenose dolphin, our local population of humpback dolphins are a crowd favourite when seen, often inhabiting Dyer Island 's shallow waters.